Author of the book “Deer of the Southwest” visit his website www.deernut.com to get a copy. The “Minotaur” of Greek mythology was a creature that was half man and half bull. Hybrids have always fascinated us throughout the history of mankind. Many of our monsters are a mixture of man and beast (Wolfman, Dracula, the Fly). Likewise, consider our heros: Spiderman, Batman, and Cat Woman. Our obsession with creatures that are half one thing and half another extends to our enjoyment of wildlife. Early naturalists often described new animals as a combination of parts from animals already known to man. The mule deer was described by John J. Audubon in 1846 as having fur like an elk but hooves like a whitetail. 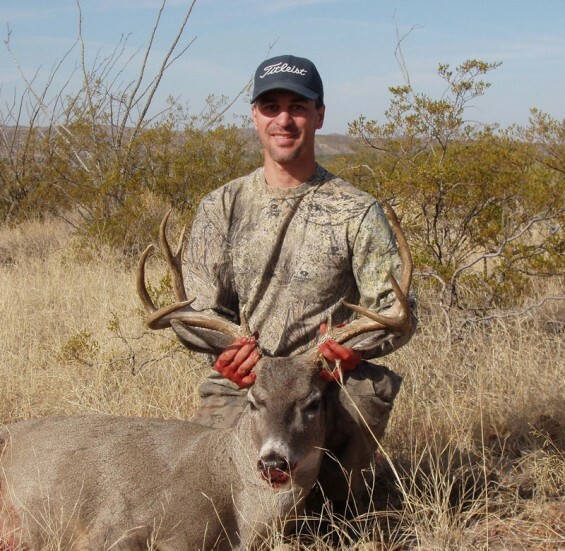 Whenever hunters gather, there is always abundant talk about the types of deer from different areas: Kansas whitetails, Montana mule deer, Sitka blacktails, Key deer, Coues deer, Carmen Mountain whitetails, fat Wisconsin does, and wide South Texas giants. Despite all the differences across the country, there are actually only 2 species of deer in the U.S.: white-tailed deer (Odocoileus virginianus) and mule deer (Odocoileus hemionus). The different-looking black-tailed deer of the pacific northwest is actually a type (subspecies) of mule deer. All native deer in North America are either mule deer or whitetails. On rare occasions, however, we hear of a deer which can not neatly be labeled as one or the other. This mysterious deer looks mostly like a mule deer but has a tail with a dark back-side like a whitetail. Different species of animals, even closely related ones, are normally kept from breeding by being geographically isolated from one another, or by separating themselves into different types of habitat. If the animals coexist in the same habitat then they generally have different courtship and breeding behavior to prevent interbreeding. In most areas of the West where both deer species are found, mule deer inhabit the higher mountain areas and whitetails occupy the lower valleys and river systems. 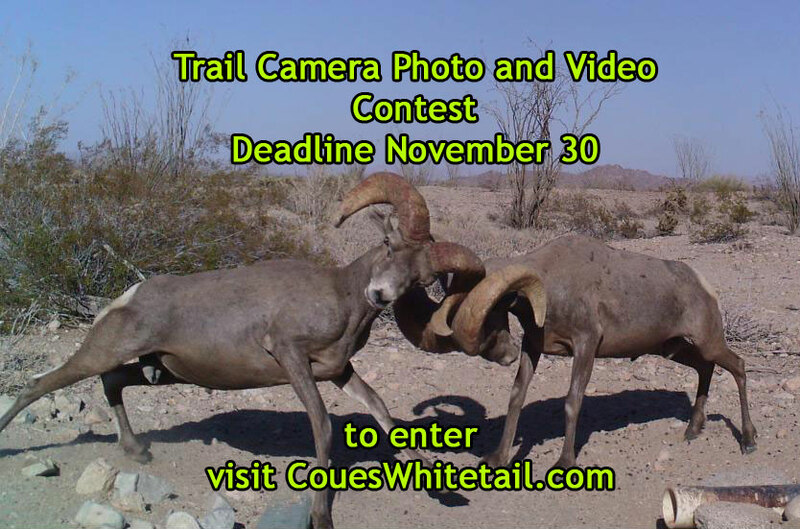 This habitat preference is reversed in the southwest where Coues whitetails are found in the mountains above 4,000 feet and the desert mule deer occupy the lower-elevation valleys and foothills. Because of the interspersion of whitetail habitat (mountains) throughout mule deer habitat, the southwest has an extensive zone where the two species coexist. This results in the animals being in close proximity to one another during the breeding season. It is not uncommon to see a group containing both whitetails and mule deer in these areas of overlap. In the case of whitetails and mule deer, courtship and breeding behavior is different enough that body language and scent cues given off by a female mule deer during rut are not “understood” by a male whitetail and vice versa. Also, in many areas where their range overlaps, the rut peaks at slightly different times for the 2 species. This system of species segregation has worked remarkably well throughout their evolutionary coexistence. However, in rare cases this system breaks down and genetic material slips across the behavioral barrier, resulting in a deer that is half whitetail and half mule deer. This hybridization between the two different deer species is extremely rare but does occur throughout the West where their ranges overlap. These bucks show characteristics which are intermediate between mule deer and whitetails. Body size and facial features indicate a mule deer but the tail is usually dark chocolate brown or black on top and white underneath. The tail of a hybrid looks very much like a typical whitetail, but is frequently much darker. Ears are normally larger than a whitetail but smaller than a mule deer. The preorbital gland in front of the eye is also intermediate between the deep pits found in mule deer and the shallow depression of whitetails. What about the antlers? Forget about the antlers; this is a worthless characteristic to judge whether an animal is a hybrid or not. Most documented hybrids have whitetail-like antlers but you can’t count on antlers alone. I have 3 sets of antlers in my livingroom: 2 are whitetails with forked primary tines (G2) and the third is a desert mule deer with 8 long points, all arising from the mainbeam. There is simply too much variation in antlers to serve as a reliable indicator of hybridization. The whitetails in the Carmen Mountains of northern Mexico have been shown to exhibit a high degree of forked antlers like mule deer. The best feature to determine if a deer is a hybrid is the size of the metatarsal gland, which is located on the outside of the lower portion of the rear legs. This should not be confused with the tarsal glands on the inside of the legs. The metatarsals on mule deer sit high on the lower leg and are 3 to 6 inches long and surrounded by light brown fur. The whitetail’s metatarsals are at or below the mid-point of the lower leg, usually less than 1 inch, and surrounded by white hairs. A whitetail-mule deer hybrid has metatarsal glands that split the difference, usually measuring between 2-4 inches and encircled with white hair. Two year-old mule deer are most frequently mistaken for hybrids. This is because of their smaller antler development and the fact that the dichotomous branching, producing the big “forks”, usually does not occur until the buck is 3 years old. Young mule deer sometimes give the appearance of a very large white-tailed deer, especially if it’s tail has a dark stripe down the back, as sometimes occurs. Mule deer in some areas, like southern California, have a dark band running down the back of their tails. Hybrids have been reported from captive facilities as early as 1898 when a whitetail-mule deer cross was produced at the Cincinnati Zoo. 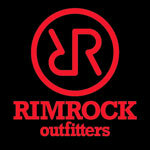 Occurrences were later reported from the Zoo in Minot, ND, deer pens in Alberta, and others. Researchers in Tennessee also successfully produced whitetail-blacktail hybrids in a captive situation. 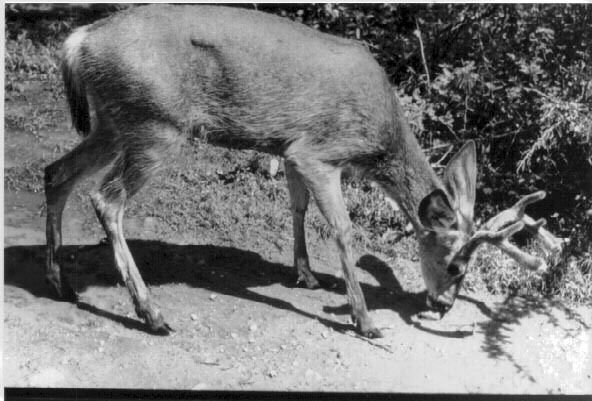 In the 1930s, biologists in Arizona produced hybrids by mating mule deer males to whitetail females and also whitetail males to mule deer females. These matings resulted in 9 hybrid fawns, of which only 4 survived the first few months. The research ended abruptly and the deer had to be released before any meaningful data could be collected. In the 1970s, Gerald Day also produced hybrids in captivity in Arizona. Ten hybrids were born but only 4 lived past 6 months of age. Survival appears to be very low in hybrids even when pampered in a captive facility. Coues whitetail x desert mule deer hybrid (F1) produced in captivity by Gerald Day in the early 1970s. Note the whitetail-like antlers and tail, but intermediate metatarsal gland on the outside of the lower rear legs. Photo by Gerald Day. Survival in the wild is even more difficult when food doesn’t come from a feed trough and there’s no fence between them and animals with sharp teeth. To complicate matters, hybrids inherit predator avoidance strategies from both types of parents; the problem is, whitetail and mule deer have drastically different techniques for escaping predators. The whitetail’s key to escaping is speed. They put their head down, follow established trails, and try to put as much distance between themselves and the predator as possible, as fast as possible. Mule deer, on the other hand, have developed a pogostick-like bounding called “stotting”, where all four hooves hit the ground at the same time. This strategy developed in mule deer because they evolved in wide open and rugged country throughout the West. 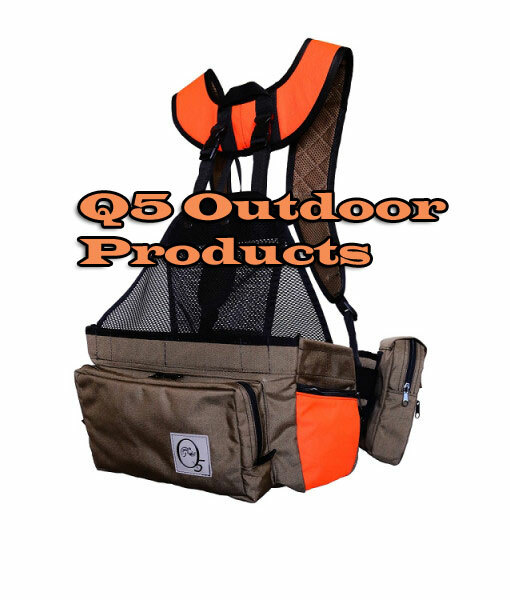 Their escape by stotting is not as fast as the whitetail’s, but in rugged terrain it is effective for putting obstacles between the predator and the deer. Mule deer can bound over boulders and stumps that the predator must run around. Research by Susan Lingle using captive animals in Alberta, has shown that stotting is so specialized that only deer that are 100% mule deer can do it. Even a 1/8 whitetail X 7/8 mule deer fails miserably. The hybrid’s escape behavior is chaotic; the deer will typically approach the threat and jump around in confusion. Such behavior is not conducive to passing their genes on to another generation. Whitetail-mule deer hybrids have also been reported in the wild from Alberta, British Columbia, Nebraska, Kansas, Colorado, Washington, Texas, and Arizona. Biologists have documented the presence of hybrids in the wild on only a few occasions. The relative scarcity of confirmed hybrids among the hundreds of thousands of deer that have been seen throughout the area of range overlap illustrates how rare they are. Every year numerous reports are received of “hybrid” deer from hunters. 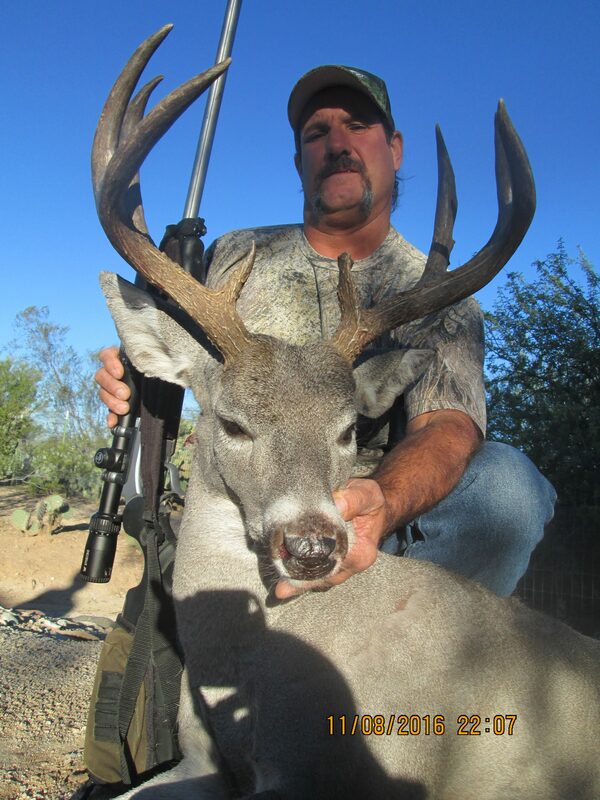 Arizona researcher, Gerald Day (who produced captive hybrids) investigated over 200 reports of “hybrids” and did not find a single legitimate whitetail-mule deer hybrid. Most of these hybrid reports come from hunters who have a whitetail tag on the leg of a mule deer and are trying to convince the Game Warden that they are at least half right. Recent advances in DNA analysis technology has allowed us to look at more definitive things than ears and antlers. The production of proteins in the body is regulated by genes so by analyzing differences between some proteins, researchers can identify what species a sample of tissue came from. Serum albumin is a protein that has proven particularly useful. Analyzing this protein with a process called electrophoresis produces a series of horizontal bands on a gel surface. 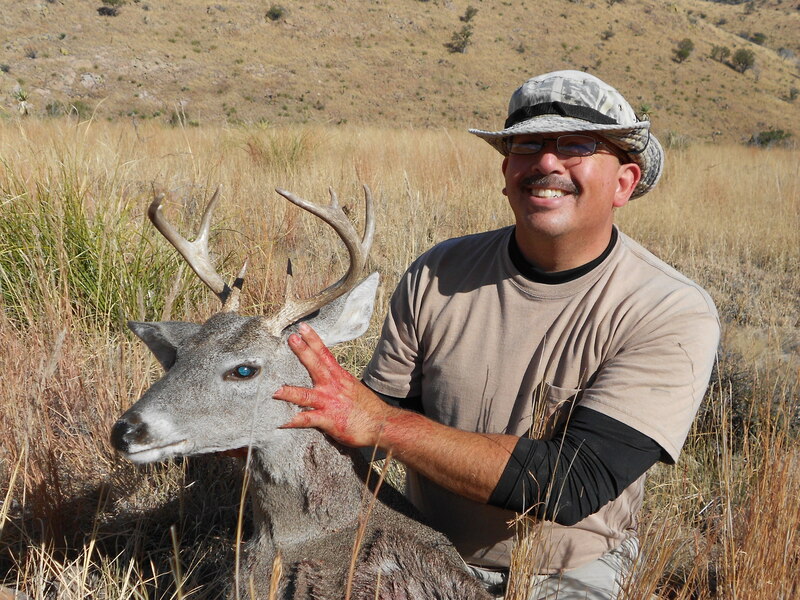 This protein produces a band in a different location for whitetails and mule deer. When a hybrid is tested, both the whitetail and the mule deer bands are present. 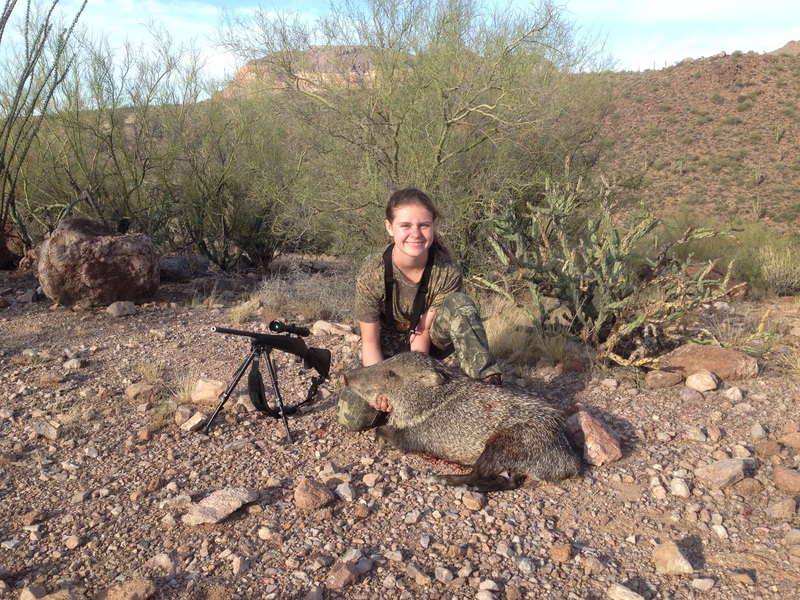 The same result can be had by mixing whitetail burger with mule deer burger and running the test on the mixture. There seems to be some exceptions to the unique banding patterns but this test is at least 95% accurate. In west Texas, managers have reported an increasing trend in the number of hybrids they see on their ranches. In the early 1980s, whitetails and mule deer in a 5-county area were tested using serum albumin and researchers found that on the average 5.6% of the deer they tested were hybrids. Individual ranches ranged from 0% to 24%! 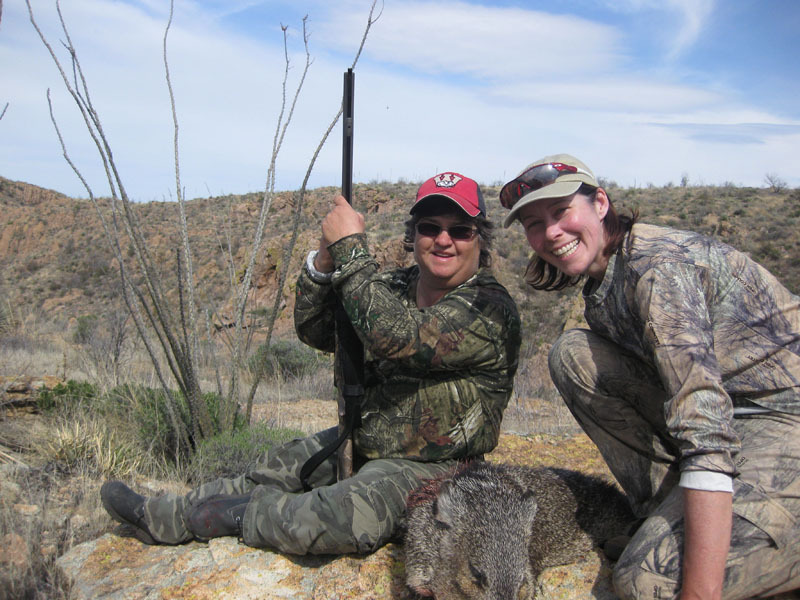 At the same time, other researchers were busy analyzing the genetics of whitetails and mule deer on a ranch in west Texas with a different method. This method looks at mitochondrial DNA (mtDNA), which is a type of DNA that every animal inherits from only its mother. This is useful because a hybrid that has a whitetail mother and mule deer father, will have only whitetail mtDNA (the rest of the DNA will be from both mother and father). If the hybrid was a female, it would continue to pass whitetail mtDNA through it’s daughters and their daughters even if bred by mule deer bucks. After a few generations, the results of these matings would look like mule deer but would have pure whitetail mtDNA from their mother and grandmother. And that’s apparently what happened; these researchers found that the mule deer on the ranch had mtDNA that was indistinguishable from the whitetails on the ranch. They concluded hybridization was common on this ranch. Even more surprising, a different type of analysis showed that the mtDNA of mule deer on this ranch was more closely related to whitetails from South Carolina than to blacktails (a type of mule deer) from northern California! This relationship indicated, that hybridization must have occurred between mule deer bucks and whitetail does because the whitetail mtDNA they carried was inherited from their mothers. These findings run contrary to the conventional theory that most hybridization occurs between a whitetail buck and mule deer doe. This theory is based on the different breeding strategies of the two species. The whitetail buck is accustomed to chasing a whitetail doe relentlessly until she allows him to breed. The mule deer breeding behavior is much more relaxed with the doe only moving a few steps if she is not ready. A whitetail doe would run far away from a pursuing mule deer buck, confusing him; but a mule deer doe would not run far from a whitetail buck in pursuit. 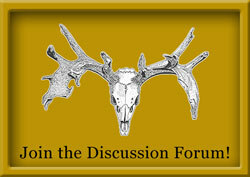 It seems more likely then, that a persistent whitetail buck would be more likely to breed with a mule deer doe. Another researcher in Montana used both of these methods (Albumin and mtDNA) to determine the extent of hybridization and found very little, if any, had occurred in that state. Interestingly, like the west Texas study, whitetails and mule deer were found to be more closely related to each other than blacktails and mule deer which are the same species (different subspecies). This relatively close relationship between whitetail and mule deer and their genetic differences from blacktails has spawned a new theory that the mule deer itself is actually a hybrid form; the result of a mixing of genes from coastal blacktail bucks mating with whitetails does when the glaciers of the last Ice Age receded, bringing the two species together. The resulting offspring then changed drastically over the last 10,000 years in response to environmental conditions. This would explain the similarities between whitetail and mule deer mtDNA. Analysis of the rest of the DNA (nuclear DNA) with Polymerase Chain Reaction-based microsatellites or any of the other rapidly developing techniques will add much to our knowledge of the origin of deer. Regardless of the origin and evolution of our deer species, whitetail and mule deer hybrids do occur. However, they are extremely rare in the wild and almost impossible to accurately identify on the hoof because of the large variation in characteristics in each species. Some whitetails have characteristics (tails, forehead) which look like mulies and some mule deer may have whitetail-like features (no antler forks, black line on the back of the tail). Hybrids can not be identified with certainty at a distance, and it is highly unlikely that a hunter will see a hybrid while afield. The low number of interspecies matings and the low survival of hybrid offspring reduce the chance of encountering one in the wild to near zero. 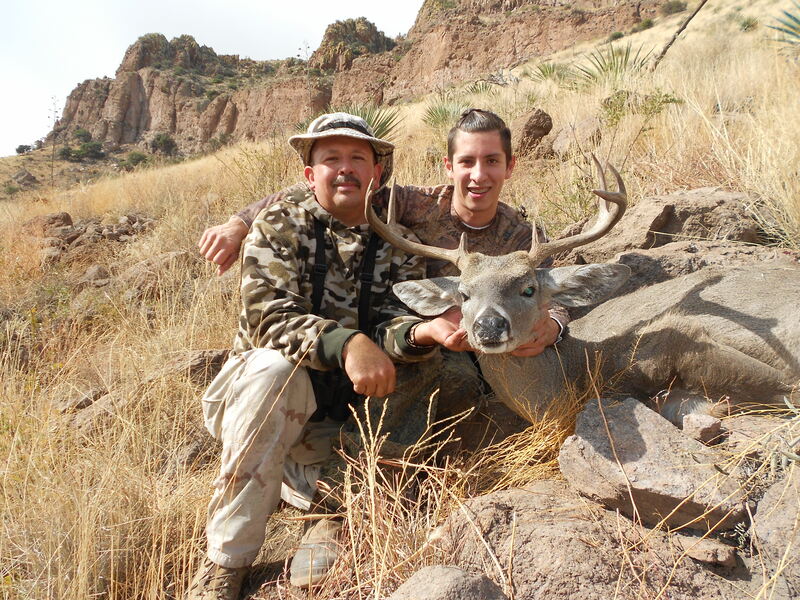 This buck was taken by Jason Montagna and confirmed as a hybrid by genetic testing in 2007. He was over 6 yrs old. 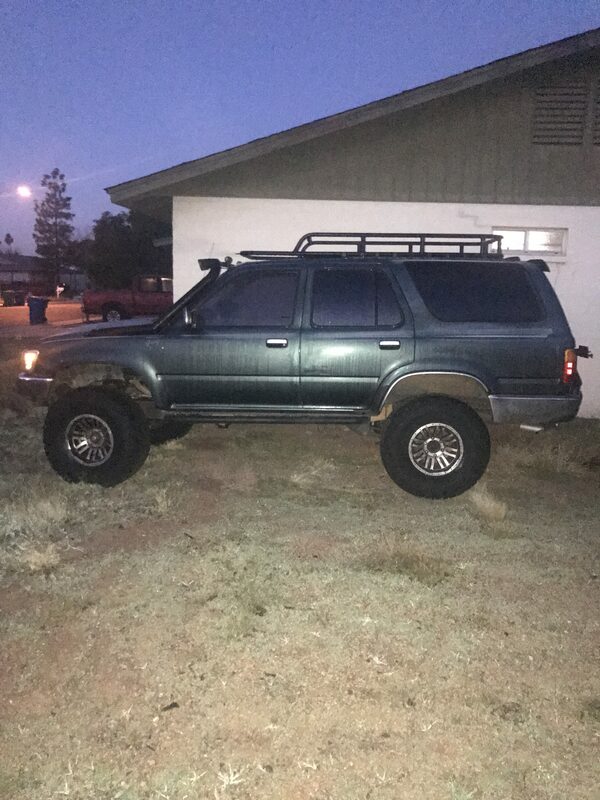 Weighed over 250 lbs, and was taken in November 2007 in Unit 34b, Arizona.